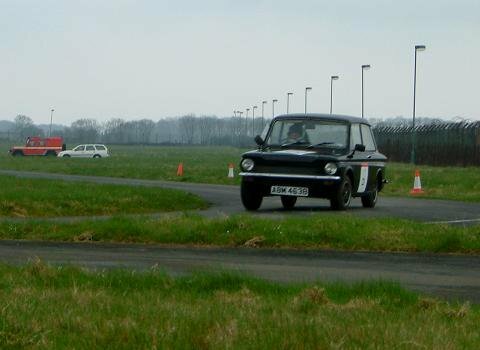 I sprint the Hillman Imp at a circuit near Grantham, Lincolnshire. I am there one weekend a month. At the moment there is only one car in my class, which is a Ford Orion. The class I race in is for fourteen to seventeen year olds. But to be able to race in this class, you must first go around the track with a qualified ARDS race instructor. This season is the first season that the junior championship has run. That is why there are only two competitors. The points will be based on improvement as opposed to the actual fastest time. The Imp that I race was actually my dad's birthday present from my mum. One day he just asked me if I wanted to sprint it. I had to say yes, really, I mean, how many fourteen year olds have the chance to race a car!! I had been around the track a few times previously as a passenger in my dad's Jaguar D-type. He has been sprinting in this championship since 2004, but races and rallies an MGB since 1996. As for my future with the Imp: I wish to continue sprinting in the junior championship, hopefully get some sponsors. 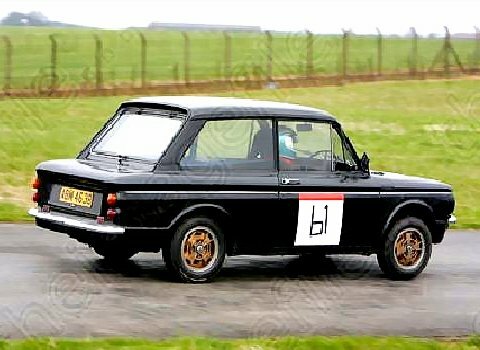 And when I am seventeen, I will try to get my race license and race the Imp in historic races and have fun.